Fiat 500C Running Costs, MPG, Economy, Reliability, Safety | What Car? 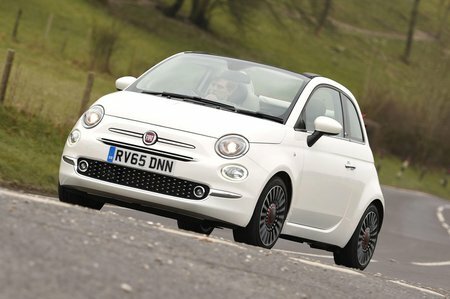 The Fiat 500C is seriously tempting on most fronts when it comes to costs. It’s the cheapest of its biggest rivals by some substantial four-figure margin, and so will cost usefully less than a Mini Convertible or DS 3 whether you’re buying outright, on PCP monthly finance, or as a company car user. In fact, realistically it’s the Vauxhall Adam Rocks, or the fabric-roofed versions of the Toyota Aygo, Citroen C1 and Peugeot 108 that are closest to the lower-end Fiat 500C models on costs and character, although these aren’t classed as cabriolets because their roofs don’t scroll all the way back. Even next to these, the Fiat makes plenty of financial sense. Efficiency is very good, too, with all of the 500C’s engines putting out low CO2, although we’d add the caveat that you should be very wary of the Twinair if economy is a priority. In the real world you’ll struggle to get more than low-40mpg from it (not dissimilar to what you’ll see from the much cheaper 1.2) regardless of which power output you’ve gone for, despite the vastly higher claimed economy. Insurance and servicing costs are quite low, too, although equipment is quite basic. Avoid entry-level Pop as you don’t get alloy wheels or air-conditioning. Pop Star is the best bet, since it adds those features, so when you’ve added the reasonably priced touchscreen system and rear parking sensors, you’ve got all the essentials you need at a good price. Lounge trim gets all that as standard, plus lots of chrome style highlights and quite a few options that aren’t available on other trims, and this is also the only trim you can have if you want the higher-powered Twinair engine. However, it’s a big jump in price and you still can’t even add cruise control or automatic lights and wipers, which are included on top-spec versions of most rivals. There is, of course, a huge range of style options, from pastel and metallic body colours and contrasting roofs through to fancy alloys and all manner of decals to add the final flourish. 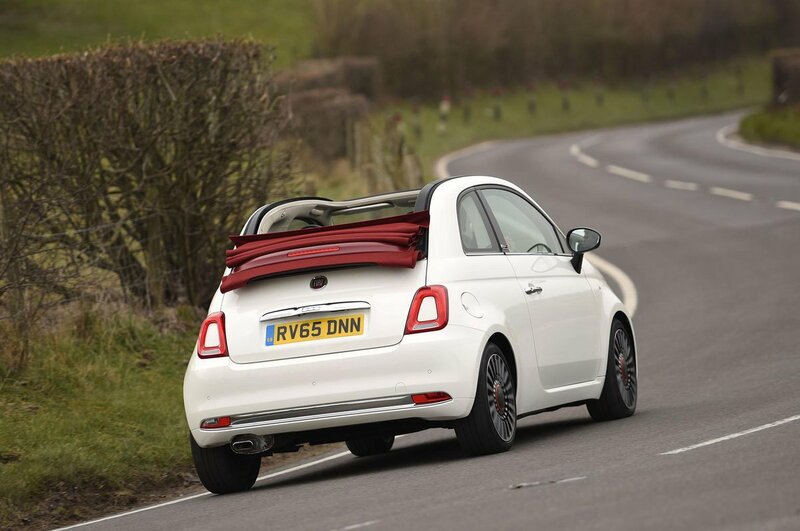 The Fiat remains one of the most customisable mainstream cars on sale, which is one of its great attractions; just try not to get carried away as the price can rack up quickly, and you won’t get that extra cash back in resale values, despite the 500C having some of the best residuals in the class. Safety equipment is good, with this being one of the few cars in the class to get a driver’s knee airbag as standard. You also get a space saver tyre as standard, which is preferable to the inflation kit many manufacturers offer. 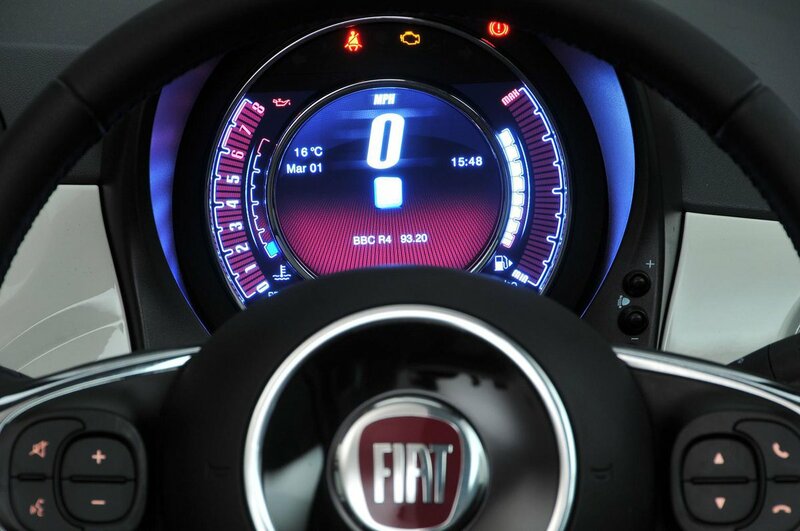 However, the Fiat gets a poor security rating from Thatcham for resisting theft and break-ins, largely because an alarm is a dealer-fit option, although an immobiliser is standard. A three-year, 60,000- mile warranty is standard.